Each year, it seems that there’s always that one album that blows people away the moment that they hear it for the first time and immediately transforms them into eager evangelists for the artist and album. Now, it may take some time and some friendly coaxing from their friends and loved ones for them to finally discover the record’s many charms, but once they do, they’re unconditionally, inextricably hooked for good. 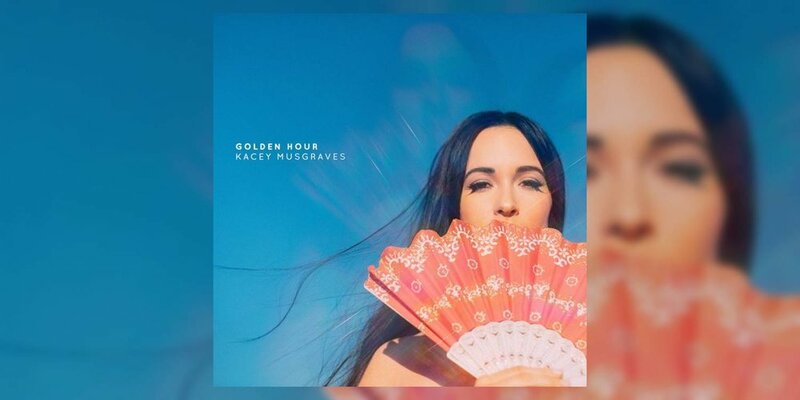 This year, and at least in my own experience, that album has unquestionably been Kacey Musgraves’ fantastic fourth studio album Golden Hour, an exquisitely crafted, universally relatable paean to the broad spectrum of life and love’s euphoric highs and heart-numbing lows. Already critically acclaimed both inside and outside of Nashville for her cleverly irreverent brand of country-pop after three excellent major-label albums dating back to 2013’s Same Trailer Different Park, Golden Hour solidifies her status as one of the most adept songwriters working today. With lush arrangements offering the perfect soundscapes for Musgraves’ introspective and evocative musings, the thirteen sublime songs contained therein can conjure the most lucid of daydreams among even the most stoic of listeners. A “Slow Burn” of an album this is decidedly not—it seduces you swiftly upon impact and summons you back time and time again to indulge further. To their credit, Musgraves’ record label MCA Nashville has provided ample promotional and PR support for the CMA album-of-the-year and female-vocalist-of-the-year award nominee, as evidenced by the seemingly incessant series of TV appearances she has logged this year, as a complement to her current ‘Oh, What a World’ international tour, the North American leg of which resumes January 9th in Indianapolis. For those already enraptured with Golden Hour, these performances offer further evidence of the album’s inescapable brilliance, and for the as-yet-uninitiated, they provide the perfect introduction to this bona fide album-of-the-year contender. So without further ado, here are the best of the best clips, assembled for your listening and viewing pleasure.